Broadcast to tens of millions of Americans, the presidential debates are the Super Bowl of politics. A good performance before the cameras can vault a contender to the front of the pack, while a gaffe spells national embarrassment and can destroy a candidacy. The slim margin for error has led the two major parties to seek—and achieve, under the aegis of the bipartisan Commission on Presidential Debates—tight control through scripting, severe time limits, and the exclusion of third-party candidates. In No Debate, author and lobbyist George Farah argues that these staged recitations make a mockery of free and fair presidential elections. Supposedly nonpartisan, the Commission on Presidential Debates (CPD) is controlled by the Republican and Democratic parties, its board of directors packed with powerful insiders who are beholden to the interests of big business. No Debate details how, with each election cycle, representatives of the two parties draft a "Memorandum of Understanding" and require the commission’s agreement before their candidates will participate. These memoranda typically exclude third-party challengers and prohibit candidate-to-candidate dialogue and cross-examination. Such rules moved former CBS news anchor Walter Cronkite to write in 1998: "The debates are part of the unconscionable fraud that our political campaigns have become … the candidates participate only with the guarantee of a format that defies meaningful discourse." In No Debate Farah charges that the CPD acts as an effective screen for the two parties to evade citizens’ most pressing questions, and absorbs the political costs that would otherwise accrue to the parties. This function of the CPD, as an arms-length organ of the parties, amounts to a shocking institutional rigging of the electoral process that degrades our democracy and signals worrying bipartisan contempt for transparency in this country’s highest elected office. With urgency and clarity, this book reviews the history of presidential debates, the impact of the debates since the advent of television, the role of the League of Women Voters, the anti-democratic activity of the CPD, and the specific ways that the Republicans and Democrats collude to remove all spontaneity from the debates themselves. The author presents the complete text of a previously unreleased secret document between the Republicans and Democrats that reveals the degree to which the two parties—not the CPD—dictate the terms of the debates. 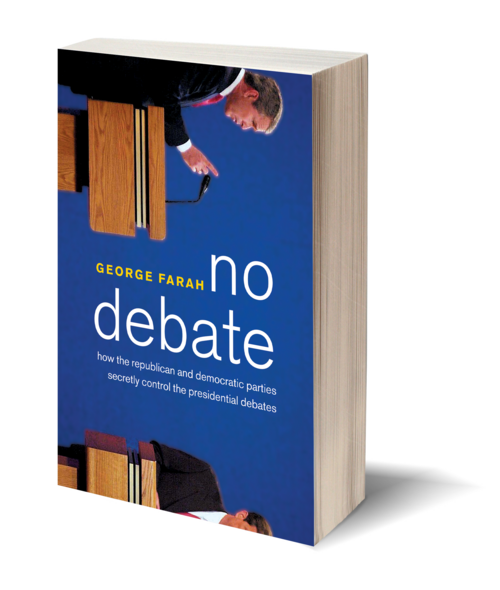 In the final chapter, Farah lays out a compelling strategy for restoring the presidential debates as a nonpartisan, unscripted, public events that help citizens—not corporations or campaign managers—decide who is going to run the White House. 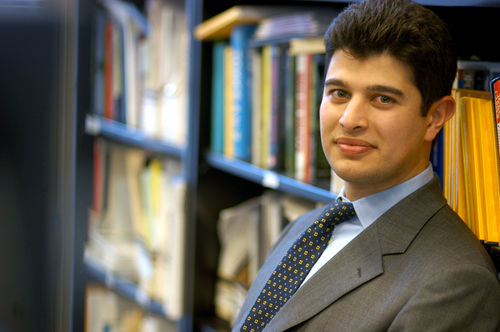 An attorney, pro-democracy activist, and political commentator, George Farah is the founder and executive director of Open Debates, a Washington-based nonprofit committed to reforming the presidential debate process. His articles have appeared in Extra! and the Philadelphia Inquirer, among others. Farah lives in New York City.